Cancer Research UK and Dr Bill Taylor (RCGP Clinical Lead for building QI capability) invite you to attend a half day workshop focused on using quality improvement techniques to drive the early diagnosis of cancer in primary care. The event is free and open to all GPs interested in learning more about evidence-based, practical approaches to quality improvement (QI). 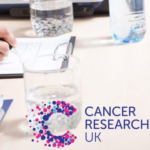 The workshop will provide a hands-on, interactive introduction to a variety of evidence-based QI techniques, and will use the results of the recent National Cancer Diagnosis Audit to guide group discussions and exercises, allowing you to understand how to identify areas for improvement, introduce effective changes and monitor their impact. The event will be led by Dr Bill Taylor (RCGP Clinical Lead for building QI capability) with a number of other speakers. There will be opportunities for group work, networking and reflection of how the event content will support your practice. Hard copies of the RCGP’s QI Toolkit for the Early Diagnosis of Cancer will be provided to all attendees.